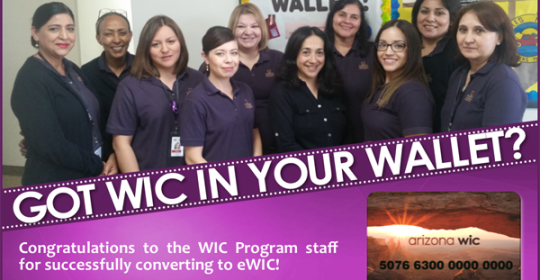 Now WIC clients can use an electronic benefits card to purchase the nutritious foods recommendation for themselves and their children by our talented and caring staff. WIC clients can also use a phone app to search the WIC food list, scan foods for eligibility while at the store and check their current benefit balance. Bravo!